I am writing to ask you to do the right thing. The U.S. House of Representatives—including the entire Connecticut delegation—voted last week to reauthorize a version of the Violence Against Women Act (VAWA) that includes, among other changes, placing limits on convicted domestic abusers’ ability to buy firearms. Rep. Joe Courtney, D-2nd, and Rep. Jim Himes, D-4th District, were two of the co-sponsors of the bill. According to the National Coalition Against Domestic Violence, the presence of a gun in the home of someone who commits domestic abuse increases fivefold the possibility of a homicide happening in that home. In a study that compared violent death rates in the U.S. with other high-income countries, U.S. women were 16 times more likely to be killed with a gun. And if U.S. senators can’t think in terms of protecting individual women, a study from Everytown for Gun Safety found that in 54% of mass shootings, the shooter included intimate partners or other family members among their victims. You won’t find reliable statistics that suggest a gun in a home is good for women. The reauthorization of the Violence Against Women Act includes limits on convicted domestic abusers’ ability to buy firearms. You will, however, find on NRA’s Twitter feed the occasional story of how a “good guy with a gun” stopped crime. Remember: These are anecdotes. They are rare. Facts still matter, but that doesn’t seem to stem the river of NRA dollars that flows into the offices of certain politicians. The new bill also adds protections for Native women and transgender women. Just 33 Republicans voted for it. The optics of that are horrible, but that doesn’t seem to be a deterrent these days, either. 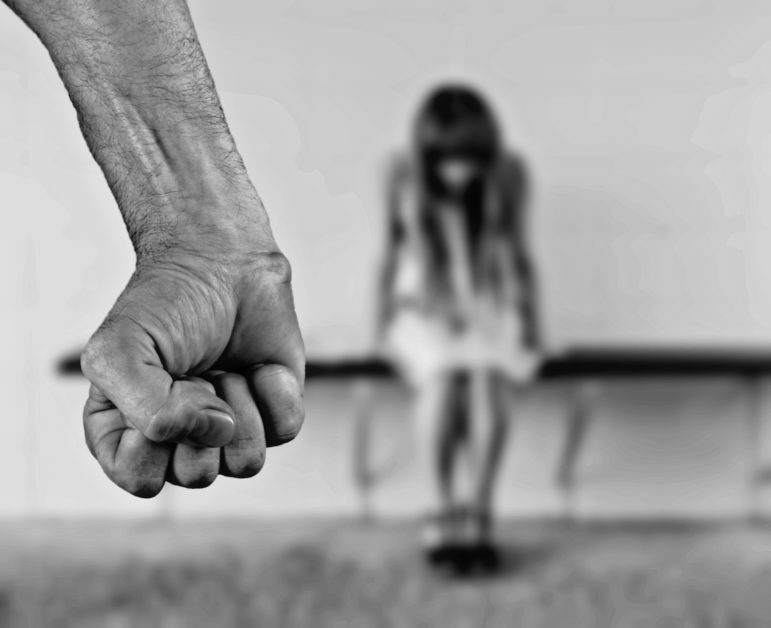 According to the Connecticut Coalition Against Domestic Violence, their member agencies serve almost 40,000 Connecticut residents every year, and services are stretched to the limit, including shelters for women that are continually over capacity. This is not a time to back away from protecting women. The #MeToo movement has helped create an environment where people are more comfortable reporting sexual misconduct. The U.S. Equal Employment Opportunity Commission, which enforces federal anti-discrimination laws, reported a 12% increase in charges alleging sexual harassment for fiscal year 2018, and in that same time period, the office filed 50% more sexual harassment suits than the year before. We are watching, in other words. Late last year, when Donald J. Trump closed the government for his vanity wall, VAWA and several important pieces of legislation went by the wayside. Though reauthorizations for the act have come roughly every five years since it was first passed in 1994, the legislation has morphed from a criminal justice bill to one that includes providing services for victims of stalking, intimate partner violence and sexual assault. In the beginning, the bill was not controversial. Those days are gone, but they shouldn’t be. Protecting women—using every legal means at our disposal—isn’t a partisan issue. So members of the U.S. Senate, specifically the 53 of you who are Republicans, please resist the urge to pass a version that eliminates the Democratic add-ons. VAWA is meant to protect women—all women. Your party’s recent history with women isn’t stellar. This could be your first step on the road to redemption. Please take that step.